If you haven’t heard Andy Brown play guitar, you’ve been deprived of deep subtle pleasures. First off, Andy loves melody: he doesn’t see George Gershwin’s composition as a series of chord changes. And he understands the song emotionally: no howling double-time arsonist passages on a love ballad. His tone is beautiful; his rhythm is steady but flexible. And he’s mastered the very difficult art of turning his guitar into the most delicate orchestra, playing what George Van Eps called “lap piano,” deftly offering the listener a melodic line that even the most jazz-phobic could follow, while offering melodic-harmonic figures that also keep the rhythm going. In some ways, he is more reminiscent of Hank Jones than of any guitarist I know. Listen and see that I do not overpraise him. Here, Andy plays a solo guitar feature as a member of the Ben Paterson Trio at the “Live at Studio5 Jazz Series” in Evanston, IL on April 9, 2017. You can follow him here. And he’s going to be one of the two guitarists at the September Allegheny Jazz Party: the other, a newcomer named Howard Alden. Oh, the weather outside was frightful, but the music was delightful. True enough for last night, March 7, in New York City. It was a chilly mix of rain, snow, sleet — not enough to be dramatic, but it soaked into everyone. But once I made it to The Metropolitan Room, that warm oasis on 34 West 22nd Street, it was summery inside. Becky’s shows have been just that — not just “songs I always sing,” but beautifully-shaped thematic presentations. Often they’ve paid tribute to specific singers: Judy, Billie, Marilyn, and Becky (a great researcher) has delved into the repertoire to find hidden, unknown gems as well as greatest hits. Unlike other people’s thematic presentations, these shows are light-hearted, not weighty seminars full of “and then she sang” data. This new show takes its cue from a Peggy Lee song, I LIKE MEN — and it’s not a formulaic tribute to the furry members of the species, but a varied look (in music and words) at us. Becky pointed out early that except for two Lee compositions, all the songs she was singing were written by men for women to sing . . . and the variety of viewpoints was quite remarkable. Becky veered away from the “he beats me but I love him” darkness of romantic masochism to offer twelve delights in seventy-five minutes . . . a compact, fast-paced, and satisfying evening. I know she has a substantial song list for this run, so the set list is going to change somewhat from night to night. Last night she and the band offered Sissle and Blake’s I’M JUST WILD ABOUT HARRY (perfectly apt, because all of us are!) complete with the verse . . . then on to two Harold Arlens — one familiar, the other a rarity; a Gershwin; Frank Loesser’s grimly comic MARRY THE MAN TODAY (where the Wise Woman sings that you should offer your fiance the hand today because once he is wed, it can then turn into the fist tomorrow); a Pearl Bailey-inflected MY HANDY MAN AIN’T HANDY ANY MORE (which suggests that old dogs can’t be taught new tricks); a wonderful Ralph Blaine-Hugh Martin wooer with the line, “I can be your passion fruit”; an unusual Hoagy Carmichael song where the overeager lover is treated rather like a poorly-trained puppy, without the rolled-up newspaper making an appearance. For me, the great moving highlights of the evening — in addition to these bright sparks — were a tender THE BOY NEXT DOOR; a wistful rather than melodramatic THE MAN THAT GOT AWAY, and a sweet WHEN A WOMAN LOVES A MAN. Miss Kilgore’s delightful genius was once again made evident in the way she sang these three songs, so strongly identified with Judy and Billie, and made them sound like Becky. Her instrumental colleagues were simply wonderful, too. Harry Allen has gotten a reputation, with some people, of being a gentle player, someone who can tenderly caress a ballad in the best Webster manner. But don’t let that impression turn into a mask; Harry has a deeply raucous side, and he loves to race and holler, too. Drummer Kevin Kanner was new to me, but he’s a listening fellow; his sticks caught all the nuances and his brushes made a swinging carpet. Ehud Asherie often stole the show — in the manner of Jess Stacy in the Goodman band — offering a witty harmonic variation or a phrase that started in a predictable place and went into other astral realms. And Joel Forbes, quietly, darkly, reliable, swung from the first note: every note was in the right place at the right time. The five people onstage were happy as the day is long — you could see it in their grins — and they shared their joys with us. Even though the weather was indeed frightful (or almost), the room was full — Dan Morgenstern and Daryl Sherman and Michael Moore were there, as were Bill and Sonya Dunham, Beck Lee, Claiborne Ray, Gwen Calvier . . . and the people I hadn’t met yet were just as enthusiastic. One fellow (Ezra?) sat with his head perhaps three feet from the bell of Harry’s saxophone, and he bobbed and weaved ecstatically with every phrase: the music was reflected in his happiness. I had never been to The Metropolitan Room before, but will come back again: Jean-Pierre made the instruments sound perfectly acoustic, which is the ideal goal of a “sound man”: he is certainly a sound man. The lighting was perfectly in tune but never obtrusive, and everyone was genuinely friendly. Becky and Harry, Ehud, Joel, and Kevin will be there for four more shows. Find your waterproof shoes and make the trek: you won’t regret it. Details here. This is indeed good news. 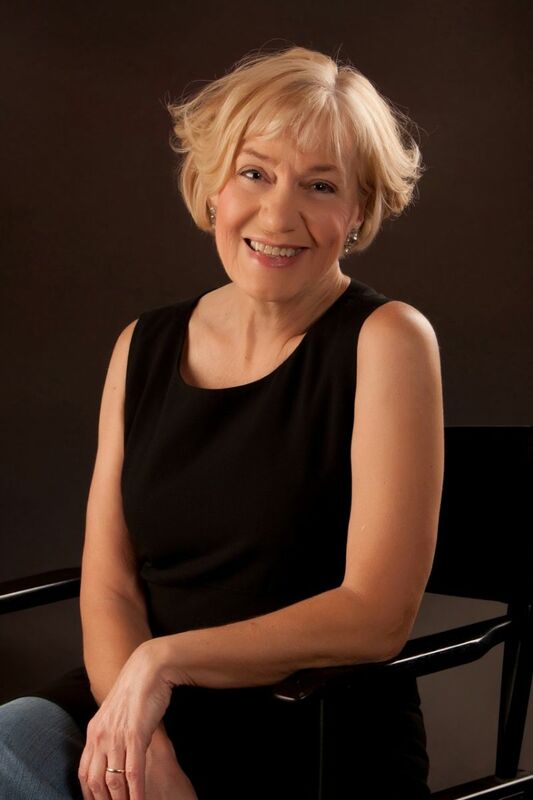 Ms. Kilgore is not seen on the East Coast as often as we would prefer, and she will be appearing — and singing — with some favored musical friends: Harry Allen, tenor saxophone; Ehud Asherie, piano; Joel Forbes, string bass; Kevin Kanner, drums . . . in a show at New York City’s Metropolitan Room. Click I LIKE MEN for details. I have been sworn to secrecy about the song list — to give it here would be like telling what happens during Season Four of Downton Abbey — but I can offer these hints. Songs associated with James Bond, Peggy Lee, and Billie Holiday will be part of the bill of fare. Harold Arlen, Leo Robin, Truman Capote, Eubie Blake, Frank Loesser, Rodgers and Hammerstein, Hoagy Carmichael, and the Gershwin brothers will drop by. Familiar songs (the ones where the audience goes “Aaaaaaahhhhh,” as Rebecca slides from verse to chorus) and delightfully obscure ones will be treated appropriately. And those of us wise and fortunate enough to have experienced a Kilgore-Allen evening know that it unfolds beautifully with its own shape — a small fulfilling concert rather than a bunch of songs that everyone likes at the moment. March 6-7-8-9-10 at 9:30 PM. The Metropolitan Room is at 34 West 22nd Street, New York 10010 (MetropolitanRoom or 212.206.0440 for reservations. Tickets $30.) Don’t miss it: you don’t want to be thinking about THE EVENING THAT GOT AWAY on March 11. Here is the introduction I wrote for my first posting about a wonderful evening of intimate, powerful improvisation created by these two great players. (You can hear the music at https://jazzlives.wordpress.com/2011/10/24/soul-searching-joel-press-and-michael-kanan-at-smalls-oct-20-2011/). I told both Michael Kanan (piano) and Joel Press (tenor and soprano saxophones) that I had been waiting a few years to hear them perform as a duo. I knew that they had done this informally for twenty-five years in their respective studios and even appeared in public (probably in the Boston area) but I had always heard them in less intimate settings. Last Thursday, October 20, 2011, I had my chance, and the music was memorable. Michael is younger than Joel, whom he met when he was only seventeen or eighteen, and he looks up to the saxophonist with love and reverence — as a great melodic improviser, someone full of surprises, able to create new things on the most familiar standard. But Joel, for his part, says he keeps learning from Michael — and hearing the depths and subtleties of Michael’s playing, it’s no hyperbole. It would be very easy to skate over the surface of these familiar songs, but these two players know what it is to listen, to respond, to improvise. It’s lovely to witness the deep, playful interchanges of artists so attuned to one another yet so able to take off on small experimental impulses. Their friendship and telepathy imbue every note, every phrase. Here’s the second, magical set.